That was a quick year! I continue to work with amazing people, inspiring me through their own enthusiasm and dedication. Last week was the end of school and also music lessons, so I'm off to the beach with my family for some well deserved rest and relaxation. Over the summer I am also working on new songs for release in 2015 with talented producer and musician, Ahmen Mahal. My heartfelt thanks go out to everyone supporting the band, tuning into the blues room and coming out to see us play. With the Blue September campaign getting a good deal of support (despite having to compete with the national election), I was invited by my good friend Nate Taiapa to help promote the White Ribbon appeal to end violence against women. Both worthy causes and I appreciate the help from the band and my manager Lesley in making a difference. A special year for some of my students heading off to intermediate school. I know the effort you have put into your music will help you shine wherever you go. Congratulations also to those who won awards for excellence. To all the young musicians from Lil Pumpkins, Montessori, Tamahere and Rukuhia schools, keep safe and have fun playing music during the holidays. God bless you and your families. I wish you all a Merry Christmas and see you again in 2015! Due to weather, postponed to Monday 15th December, 5pm until 10pm. Bring a Picnic blanket and enjoy the fun! Kapa Haka, Dance Acts, Santa, Bouncy Castles, Fun Rides, Face Painting Delicious Food, and much more. 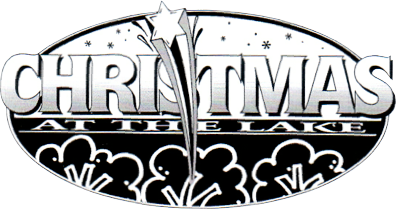 Christmas at the Lake is a bi- annual 'free' community event co-ordinated by Bridges Church with the involvement of other churches and community groups. It is an amazing opportunity for people of all ages to gather together and there is something to enjoy for everyone. People start to gather from mid afternoon to find a great spot to put down their picnic blankets with the 'family fun activities' starting from 5.00 pm. 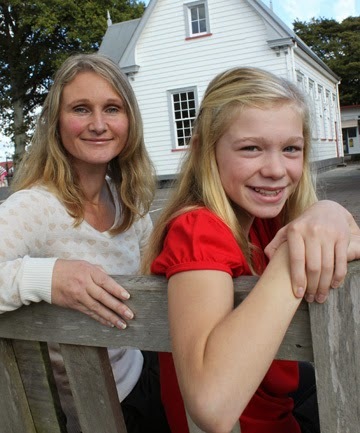 Nine local Primary Schools painted 'A New Zealand Christmas' murals which are on display for all to enjoy. Activity on the mainstage begins at 6pm with headliners Late 80’s Mercedes, Rapture Ruckus, Julia Grace, Nora and a host of local performers, kapa haka, bands and duos. Classical singer Hannah Morgan will be accompanied by Darcy Perry on guitar. The night will conclude at 10.00 pm with a Fireworks Display. This is a drug & alcohol free family event. 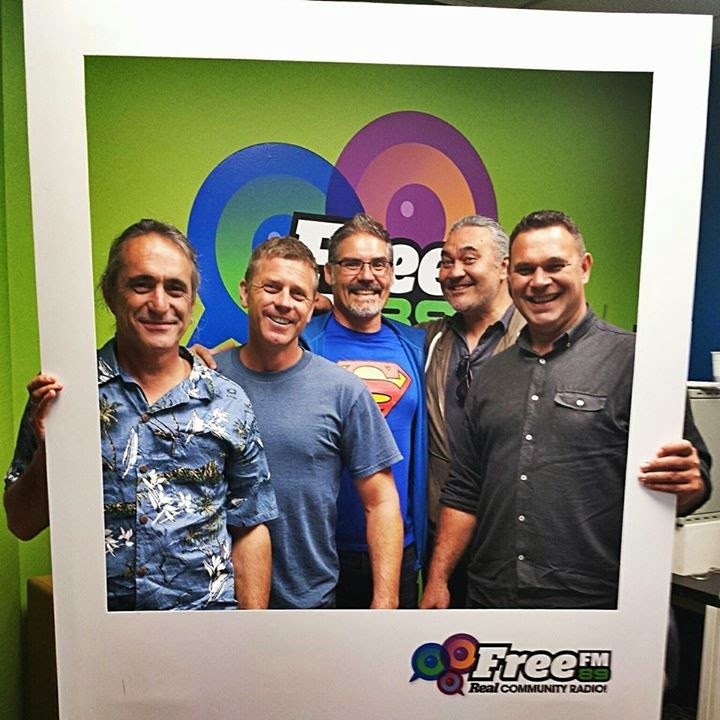 This Wednesday night on The Blues Room I interview Derek Jacombs, band leader of the legendary Kokomo, a Bay of Plenty export that has entertained audiences all over New Zealand since 1991. Their latest release is Bigger Than Brando, with a December 5th album launch at the Nivara Lounge in Hamilton. 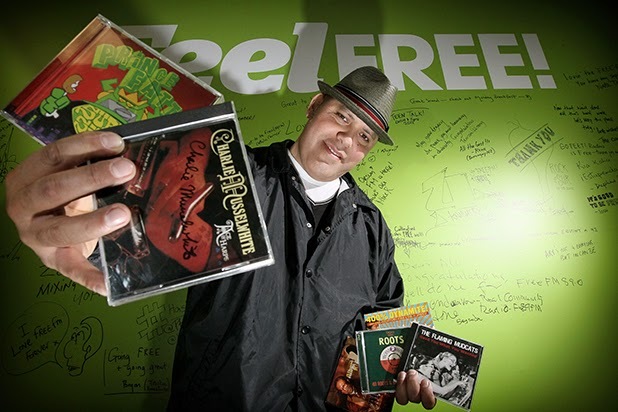 Tune in from 9pm (http://player.wizz.co.nz/freefm89/ and FM89.0 in the Waikato) for a chance to win the Bigger Than Brando CD and tickets to the album launch. Thanks and blessings to Nate Taiapa from The Blues Room for inviting us in for a live to air recording to raise awareness about White Ribbon, the campaign to end men's violence against women and children. 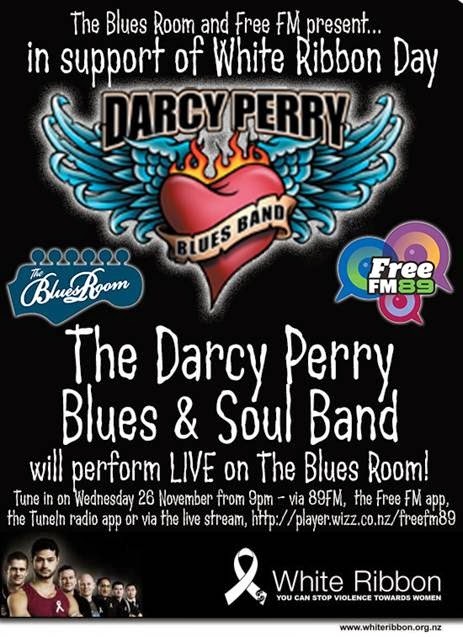 Free FM got bluesified last night by the Darcy Perry Blues Band in support of White Ribbon Day New Zealand, performing live to air from The Blues Room: from the roots to the fruits (http://player.wizz.co.nz/freefm89/ and FM89.0 in the Waikato). White Ribbon is an international movement to end men’s violence towards women. The DPB will gather in Nate Taiapa's legendary Blues Room for a live to air set in support of White Ribbon Day. 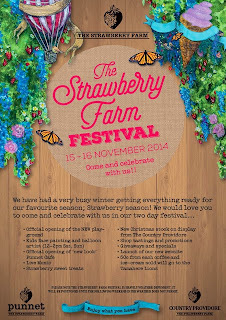 Tamahere’s Strawberry Farm has a lot to celebrate and is sharing the love. As the new strawberry season gets underway the Newell Rd complex is marking the occasion with the launch of a re-vamped Punnet cafe and the opening of a new playground. The Strawberry Farm Festival on the weekend of November 15-16 will include face painting and balloon artists, live music and lots of strawberry treats. Join more than 4,500 runners and walkers of all ages who are set to take part in the 70th Anniversary of the infamous Round the Bridges on Sunday November 16. 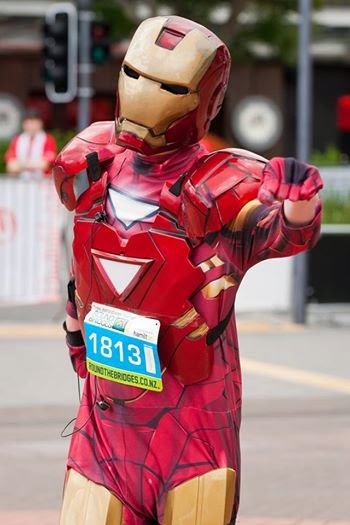 With participants ranging from athletes to first-timers, super heroes to furry friends, everyone's doing it! The 2014 birthday bash is a special occasion and with it comes an abundance of new and exciting elements for people to enjoy on and off the course. Look out for participant medals, awesome spot prizes and the chance for SEVEN lucky runners / walkers to win $10,000 each! There will also be all the traditional fave's including musical entertainment en route, school and business challenges, kids play areas, post-event entertainment and much more! The SkyCity Hamilton HotSpots finalists entertaining runners and walkers on-course for Round the Bridges this year are Looking for Alaska (Aaron Gott and Amy Maynard), Latest Fallout, Beauty and the Bass, Darcy Perry and Sambatron. The DPB will gather in Nate Taiapa's legendary Blues Room for a live to air set in support of White Ribbon Day. White Ribbon is an international movement to end men’s violence towards women. Each November, White Ribbon runs a month-long campaign that culminates on 25 November, White Ribbon Day. The focus of the 2014 campaign is the White Ribbon Pledge. Men want to be proud fathers, uncles, grandfathers and great husbands/partners. We want our partners and kids to live in safe homes without violence. 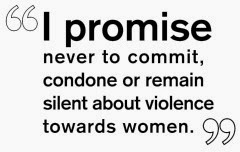 Taking The Pledge to never commit, condone or remain silent about violence towards women means a better life for you and those close to you. 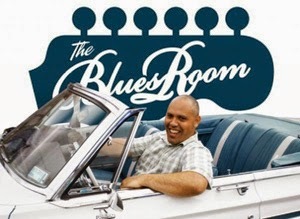 This week in The Blues Room I interview blues rocker John Williams. Beginning his career at an early age in New Zealand, John made his mark here and in Australia with Larry's Rebels, The Rebels and King Harvest. He has also been the guitarist for The Platters, Roy Orbison and John Rowles, as well as touring with The Yardbirds, Tom Jones, Eric Burdon, The Walker Bros, Roy Orbison, The Animals, The Easybeats and the one and only Jimmy Page. John Williams is the only guitarist ever to fill in live on stage for the guitar legend. 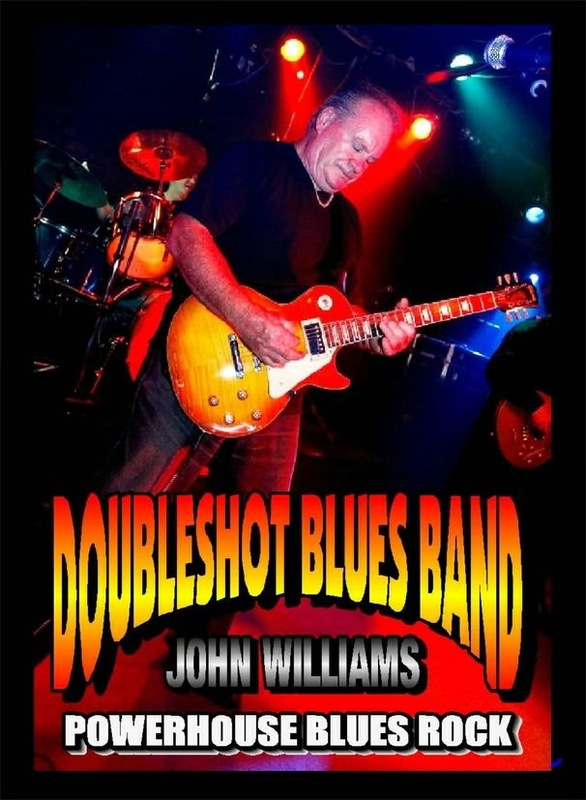 Currently playing with his bands Double Shot of Blues and Retro Boys, Mr. Williams is known for his jaw-dropping guitar licks, scorching slide-guitar and rocking powerhouse style of blues. I'll also be playing some tracks from his latest CD/DVD, 12 Bars of Live Blues. Tune in for an Hour of Blues Power and your chance to win a copy! Proudly presented by The Auckland Blues Club, this annual Blue September fundraiser is growing bigger and better every year. 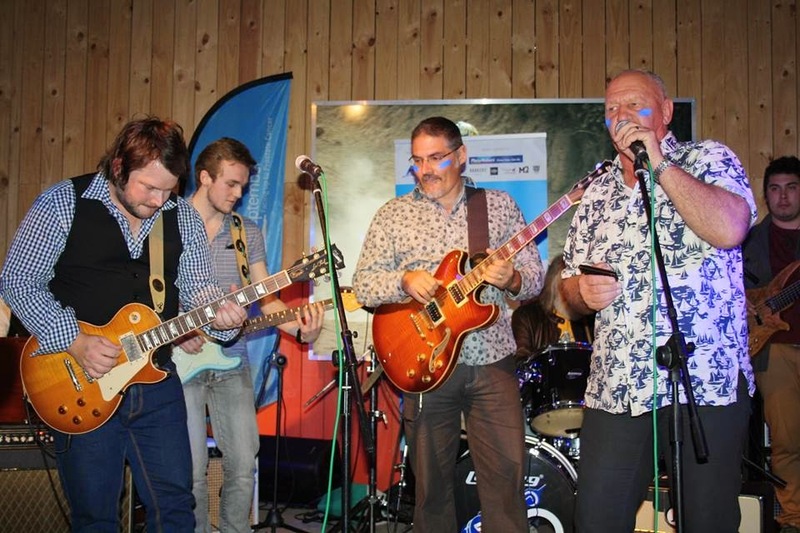 This year, the blues concert has been moved to a bigger venue, Juice Bar in Parnell, and will once again be MC'd by the one and only Frankie Stevens. 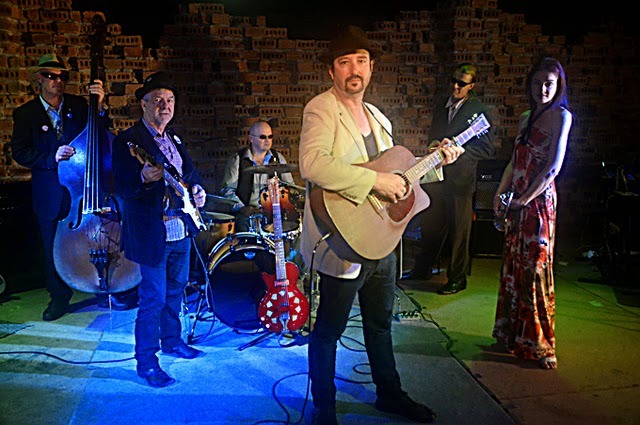 Due to popular demand, Frankie will also be performing on the night, along with Fatt Max & Dean 'Honey Boy' Morris, Recliner Rockers, Gary Harvey Trio, The William Brown Band, Stingray, Black Dog, The Flaming Mudcats and the Darcy Perry Band. That's a great line-up of six blues bands so don't miss out, get in quick. Tickets are available at the door or you can pre-book by contacting Lesley Page. Tickets are $15 each with all proceeds going to the Prostate Cancer Foundation. 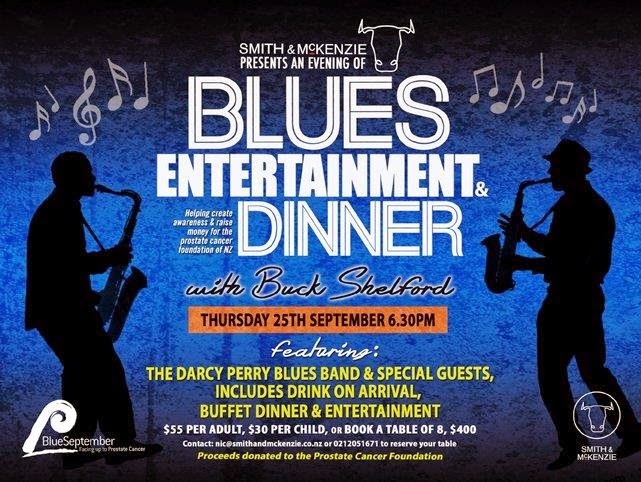 An evening of blues, entertainment and dinner, with Blue September ambassador Buck Shelford. Featuring the Darcy Perry Band with special guests Hannah Morgan, Petra Bennett and Jade Collins. $55 per person or $400 per table. Includes a drink on arrival, buffet dinner and entertainment. Proceeds donated to the Prostate Cancer Foundation. Contact Nic nic@smithandmckenzie.co.nz or 0212051671 to reserve your table. 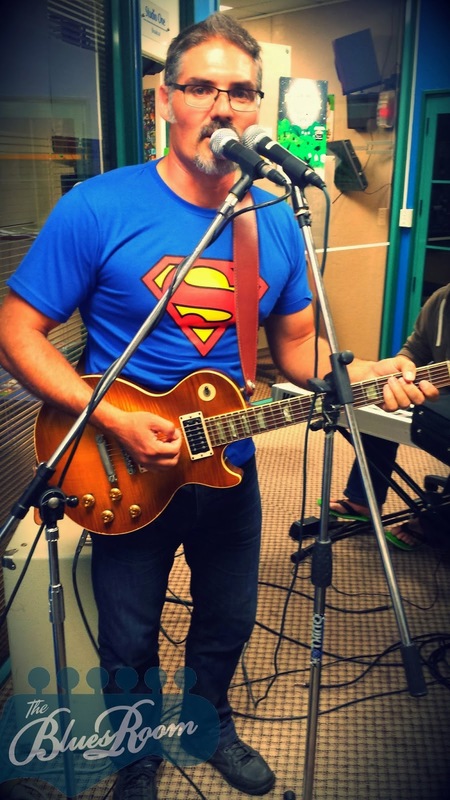 Join us for an Hour Of Blues Power on The Blues Room with Nate Taiapa! Joe Bonamassa is playing in New Zealand for the first time next week! We have his latest album to giveaway! 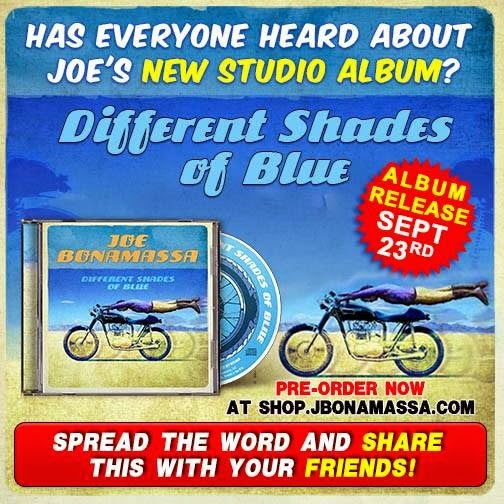 Tune in to listen to the Different Shades of Blue and for your chance to win the new album. There will also be an eclectic mix of blues from my dusty old box of CDs! Every year around 600 men die in New Zealand of prostate cancer. That is more than 600 fathers, sons, brothers, grandfathers - gone! This happens because men don’t know how dangerous the disease is, they don’t talk to their doctor about it, they simply don’t do anything about it. This has to stop. Prostate cancer can be prevented if detected early enough. Blue September is the Prostate Cancer Foundation's national awareness campaign. I joined the team of ambassadors for Blue September in 2010, supporting the Prostate Cancer Foundation and helping raise awareness of the third most common cause of cancer death for men in New Zealand. My dad died at 55 of cancer, so I'm letting men know that they need to look after themselves. It's about getting the message out there that it's okay to go to the doctor. Prostate cancer kills more than 600 men in New Zealand every year. Thousands more are diagnosed - many of them far too late. By going and getting a check-up from the age of 40, you are not only taking responsibility for your own health, you are also ensuring we have communities with more dads, sons, brothers and grandfathers. Early detection offers the best prospect of effective treatment and positive outcomes. Men should have their first PSA blood test check at age 40 to establish a baseline level for future monitoring. Men 50+ should have an annual PSA and DRE check with their GP. The Streak and Marc Ellis. How can you help support Blue September? Wear a blue ribbon. Blue ribbons are available for purchase at sponsors’ retail outlets throughout New Zealand such as PlaceMakers, The Coffee Club, Cory’s Electrical, Auto Super Shoppes, Mad Butcher, Farmlands, Unichem and Life Pharmacies. Each ribbon is given in return for a gold coin donation. Buy some fresh undies. To help raise funds PlaceMakers stores are selling the very popular Swanndri undies which cost $25, with $10 donated to the charity from every pair sold. Attend an event. The calendar is filled with events planned by sponsors, community groups and other businesses. Look out for the PlaceMakers’ ‘superhero’ - Blue Streak- who will once again be ‘streaking’ the nation to help raise awareness and he may be at a number of these key events and across media channels. 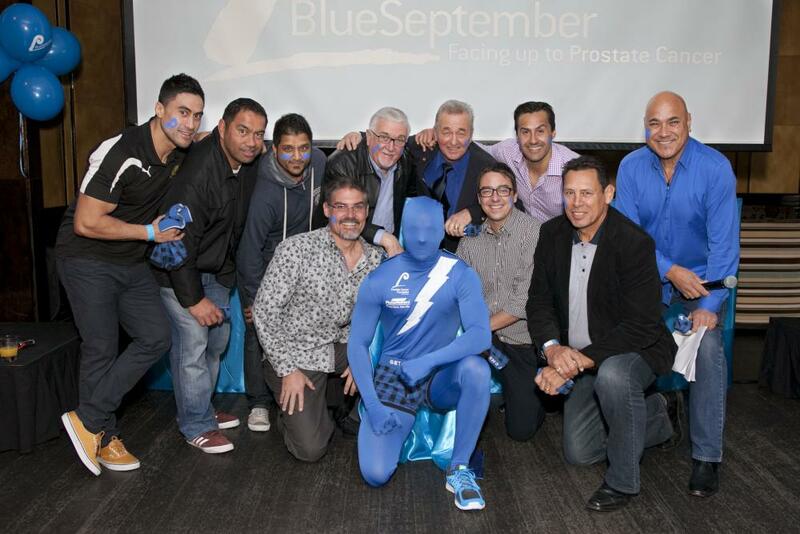 Thank you for supporting the Prostate Cancer Foundation and Blue September 2014. Happy Birthday Mr. 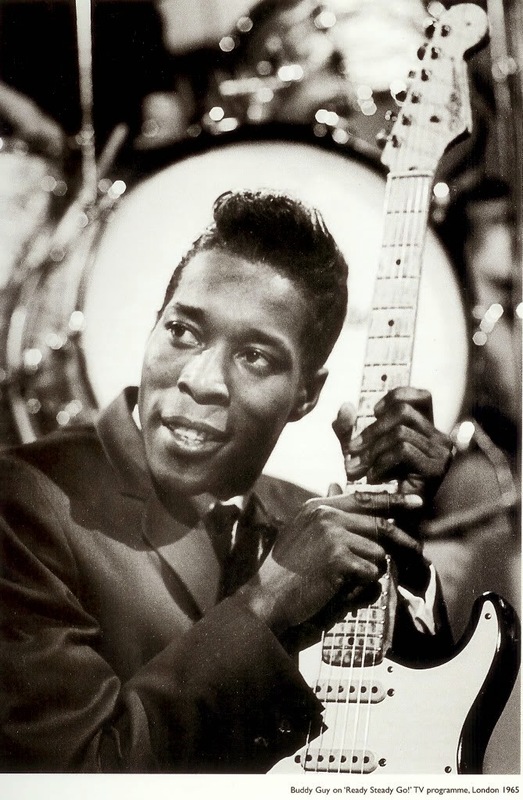 Buddy Guy. Kicking off with some classic Buddy Guy (celebrating 78 years young last week), I present an Hour Of Blues Power on The Blues Room with Nate Taiapa! 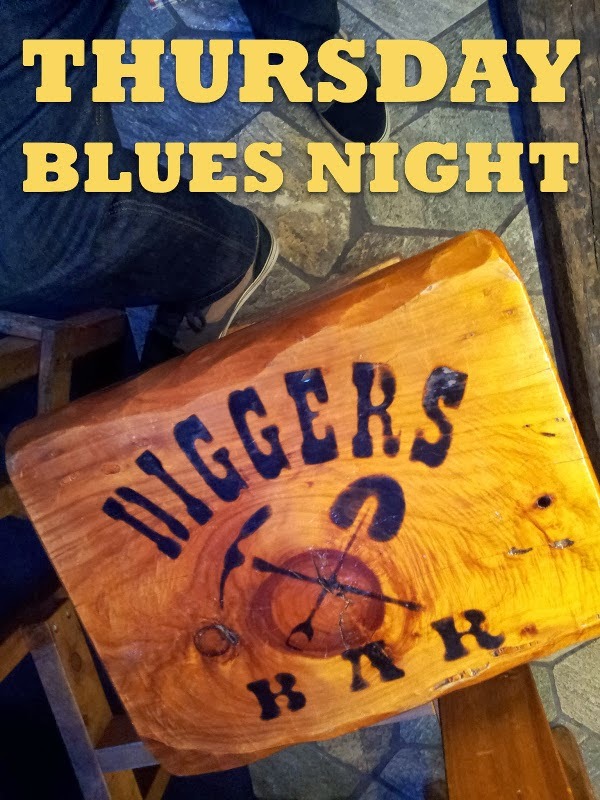 So get ya blues shoes on and head down to Diggers Bar this Thursday the 31st July from 7pm. No cover charge (but donations are welcome). Great to back in the studio with Nate Taiapa for Another Hour Of Blues Power! God bless you and enjoy your week. 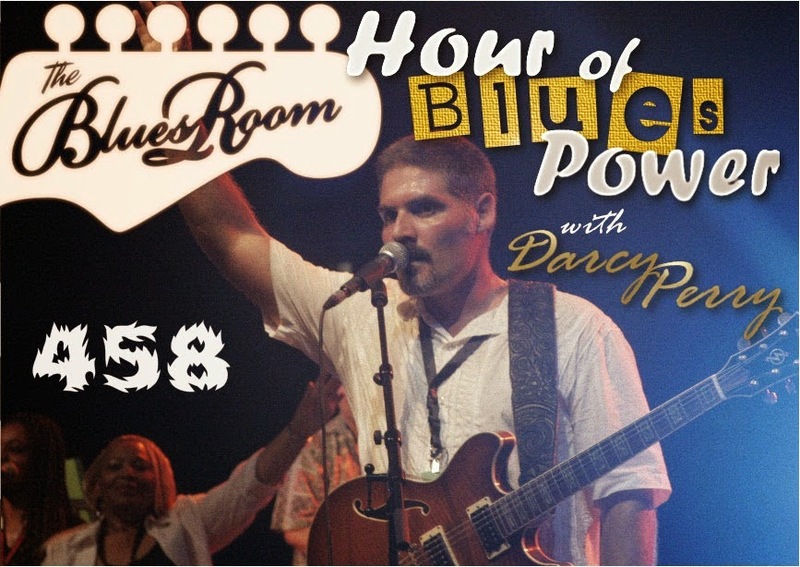 The Blues Room is rockin' it tonight with an Hour of Blues Power! Tune into Nate Taiapa's Blues Room as I spin some Old School blues tracks. This show is dedicated to Paul Barrett. Rest in peace. Thanks and blessings to Nate Taiapa, Free FM 89.0 and the Hamilton Blues Society. A return to The Kings Arms to celebrate NZ Music Month with some original blues. Featuring the Darcy Perry Band, Stingray, Black Dog, Fatt Max and the incomparable Edwina Thorne. The Blues are the foundation of almost every important musical genre of the 20th century – from Jazz to Rock to Soul to Funk to Hip-Hop and beyond. 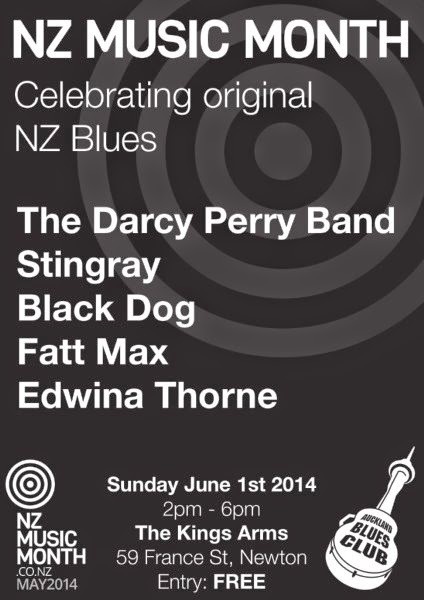 As Willie Dixon so eloquently put it, “The Blues is the roots, everything else is the fruits.” Come on down for an afternoon of good times and great music with some of the best blues bands in NZ. 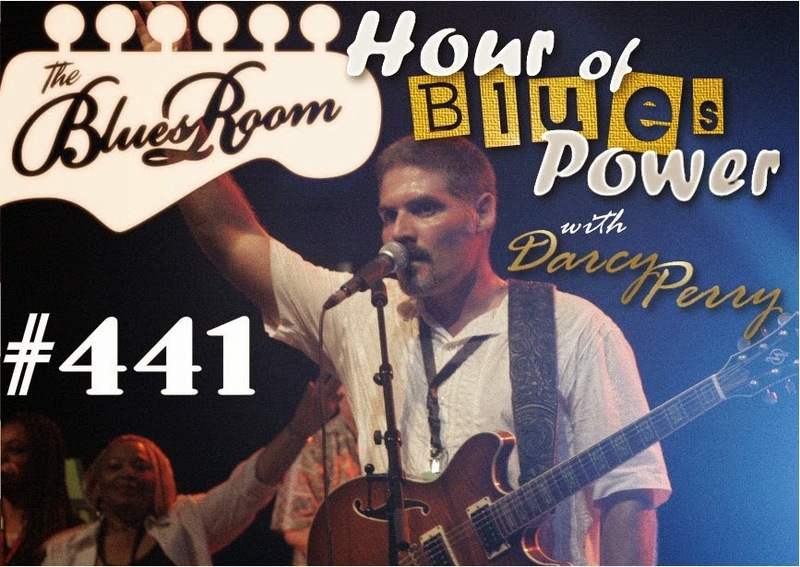 Join me for another Hour of Blues Power! Tune into Nate Taiapa's Blues Room for some music from kiwi blues artists, celebrating NZ Music Month 2014 in style, including a live performance of 'Good Morning Blues' with harmonica master Nate Taiapa! 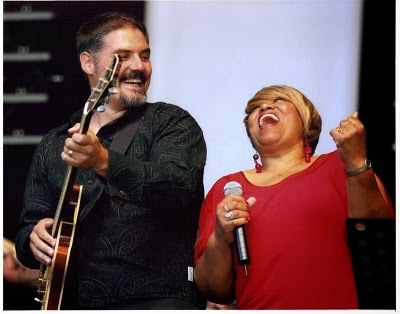 I will also interview my good friend, Sista Jacqui, about her life and musical journey from Mississippi to Chicago and beyond. Listen to the Podcast here. I will be on the judging panel of the Original Music Competition 2014. The brainchild of Brent Crawshaw (aka Oz), the OMC was born in 2012 out of a desire to celebrate New Zealand Music Month by providing an occasion to bring muso's together and give them a stage to perform their original work. It also provides an opportunity to network, share ideas and generally to help the growth of original music. Bringing NZ Music Month to Thames, the OMC will be held at the Grahamstown Bar and Diner, 700 Pollen Street Thames on Saturday the 24th of May, 2014. Everyone's welcome, with free entry for the audience, so invite all your friends and family to come! First prize $500. Open to singer/songwriters, the performance must be acoustic* and includes duos and trios. NO electric guitars, drum kits, effects units (including vocal effects), or backing tracks please. Be in to Win! Entry forms available from Grahamstown Bar and Diner and Lotus Realm. Entry fee $25. 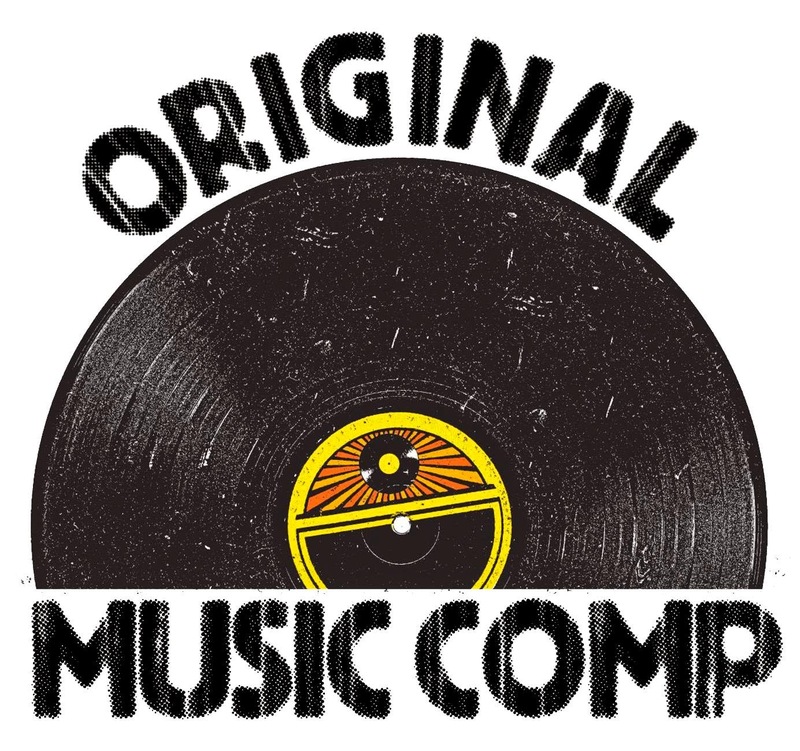 For the complete rules and registrations please email originalmusiccomp@gmail.com or send a message on facebook: www.facebook.com/OriginalMusicCompetition. *Electric acoustic guitars and keyboards are fine. Nate Taiapa in the Blues Room. Welcome to April! 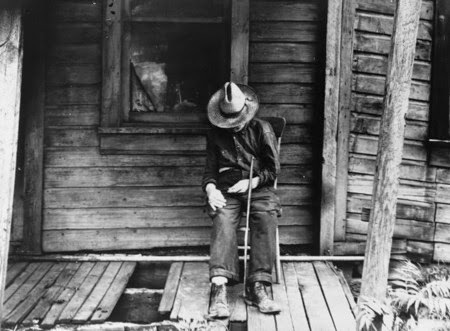 Join me and Nate Taiapa in the Blues Room for a glorious Hour of Blues Power, featuring an eclectic mix of blues (roots, country, rock, funk and old school gospel) music from around the world. Darcy Perry and Sista Jacqui. Jacqui is from Chicago, (Country Club Hills) Illinois in the USA. She has shared her gift on the mainland and internationally. Her extraordinary vocal talent has earned her the title “World Class Singer”. Together with myself and Nate Taiapa, we will be the support act for Ruth Wyand next Friday at the Cambridge Autumn Lights Festival. 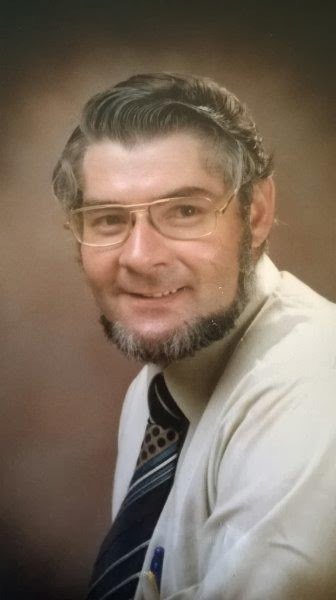 It's the first Wednesday of the month, so I'm back on Nate Taiapa's Blues Room with a special radio show to remember my dad, Ross Perry, who died on this day (March 5th) twelve years ago. This Hour of Blues Power will feature a whole lotta good music from around the world, including some favourites from my own eclectic blues collection. Rest in peace dad. Walk in the Sun has made the Semi-Finals! Finalists for ISC 2013 will be announced on March 3, and winners by the end of April. This is the second song to be recognised by the ISC. It's All Downhill From Here made the Semi-Finals back in 2006. Entries are now open for ISC 2014, with an Early Bird entry fee - $25. 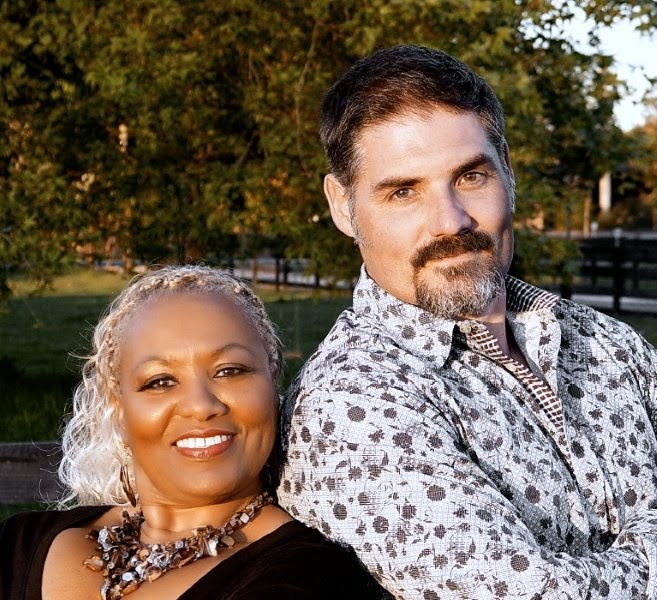 I'm listening to Nate Taiapa interview Ruth Wyand on The Blues Room. She is on an extensive tour of New Zealand through February and March 2014. 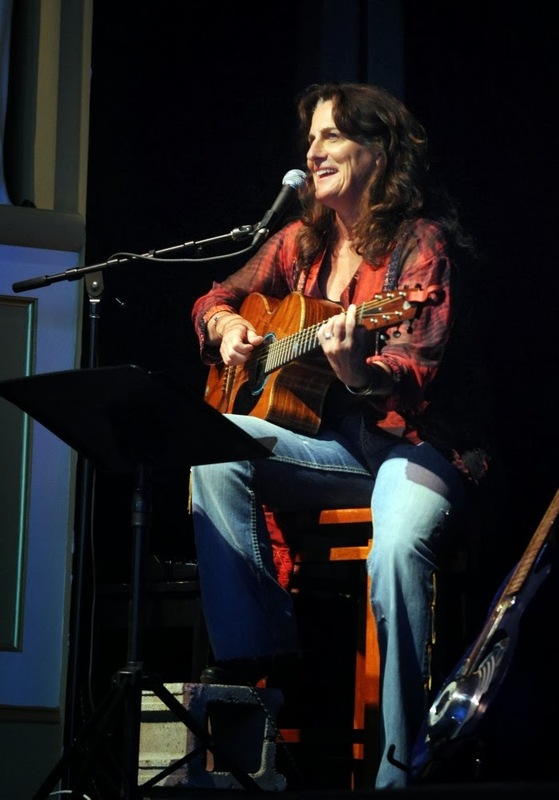 Not only is Ruth an amazing musician (guitarist, songwriter and vocalist), she also has an indepth knowledge of blues music. 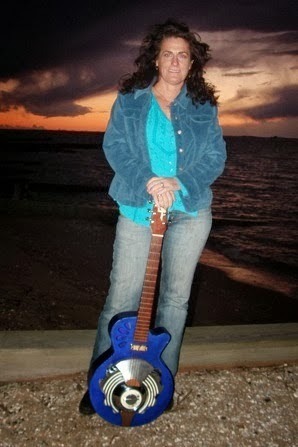 As well as her show, a multi-media event called 'Mama's Got The Blues', Ruth is running guitar workshops up and down the country. I am looking forward to supporting her show at the Cambridge Autumn Lights Festival (Friday 21st March, 7:30pm, St Andrews Church, Cambridge). It's a long way from her home in North Carolina, where she is an Artist-In-Residence, so do come down and make her feel welcome. Lovers of good blues music are in for a treat this Thursday. The Hamilton Blues Society is showcasing the best of the best with: The Mustard Cutters, The Conmen, The River Rockers, Tim Armstrong, and Sandpit. Tim Armstrong's band features Howie Casey, ex Wings session man, on saxophone. So get on down to DIGGERS on Hood Street this Thursday. Show starts at 7:30pm.